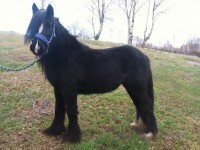 Alisha is a sweet mare that is ready to be rehomed as a youngster. She is eager to please and tries her best at everything asked of her, although she can be nervous at times and requires a bit of reassurance from her groom. 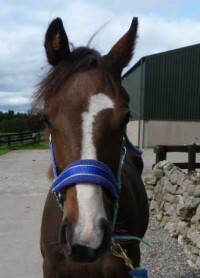 Alisha is good with the farrier but will require a patient farrier to build her confidence. She is good to catch and will come in for a groom so we are looking for someone who will be quiet around her to continue her education. 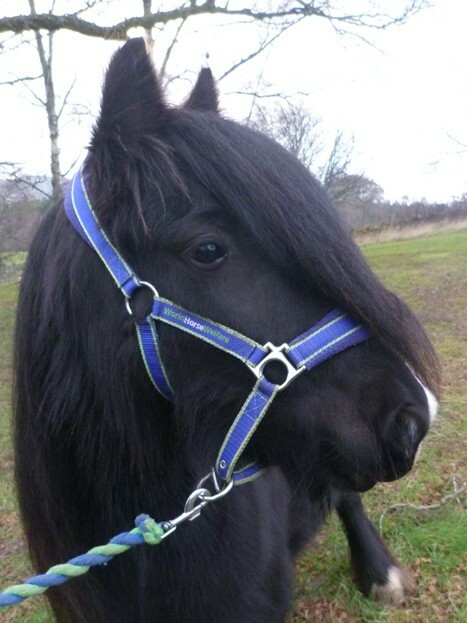 Once Alisha has reached four years old she will need assessed by a vet to see if she can be brought into work but in the meantime she will make an excellent companion to other ponies. Please apply online if you could offer Alisha a new home. Alisha is a very sweet mare but can still be a little nervous at times. 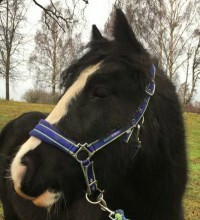 Alisha came into World Horse Welfare's care as one of a group of 20 that were taken in by Belwade Farm in September 2018. The group had originally been signed over into RSPCA care as a welfare case during 2018.